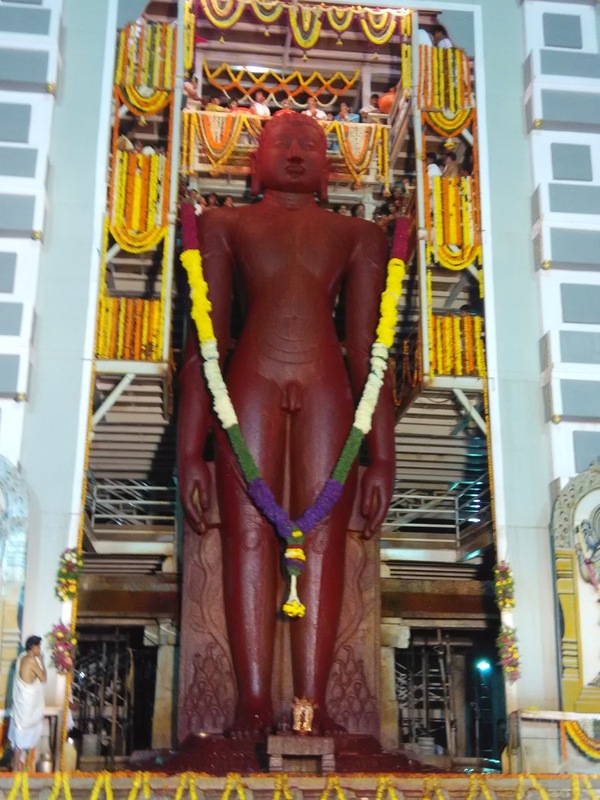 A Day at "Karkala Mahamasthakabhisheka"
Mainly it is worshipped by jains, but the ceremony witnessed by all the religion, as it is considered a way of cleansing your body and soul. 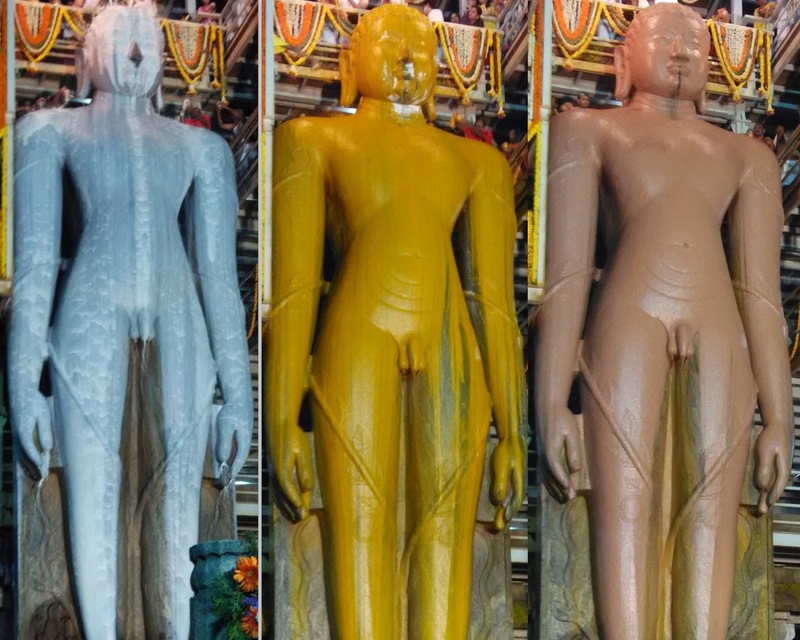 "Mahamasthakabhisheka" was held from January 21st 2015 to 30th January 2015.Its magical to witness a gigantic monolithic statue with different colors and at the same time I respect his principles of non-violence and peace (Shanthi).Lakhs of people from various part of India and world delighted by the ceremony, I was one of them. Karkala is a multicultural town with 22 basadis and ancient temples located 36 kilometers from udupi, 50km away from mangalore and 16km away from moodabidri (Jaina kashi).A town of historical importance and a pilgrim centre for the Jain community, it was the capital of Jain rulers belonging to the Bhairava dynasty. 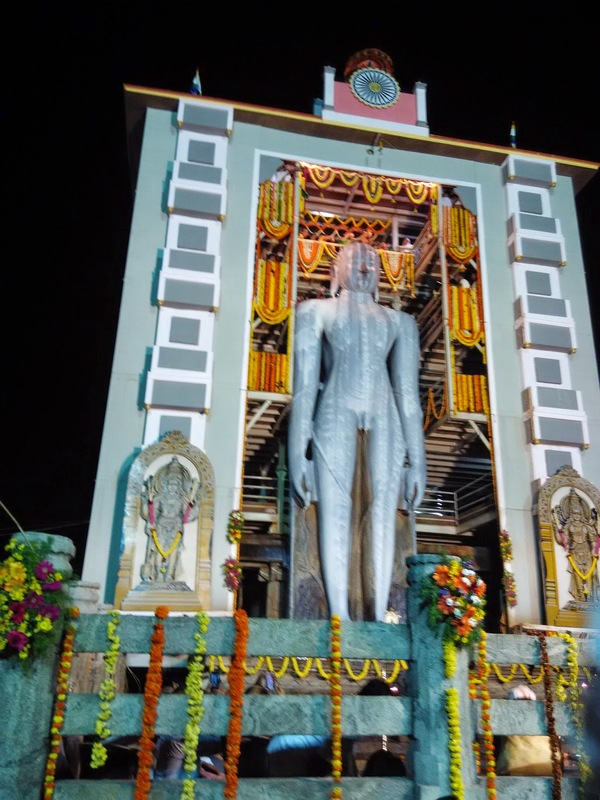 King Veera Pandya, a ruler of this dynasty, was responsible for installing the statue of Lord Bahubali here in 1432, Itseems first Masthakabhisheka held in 1646. 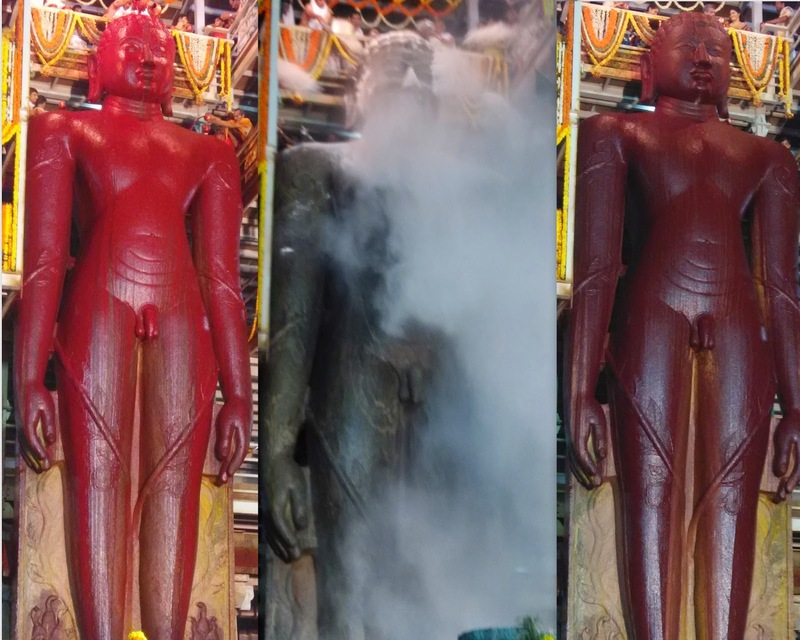 The Mahamasthakabhisheka was organized very well by organizers. 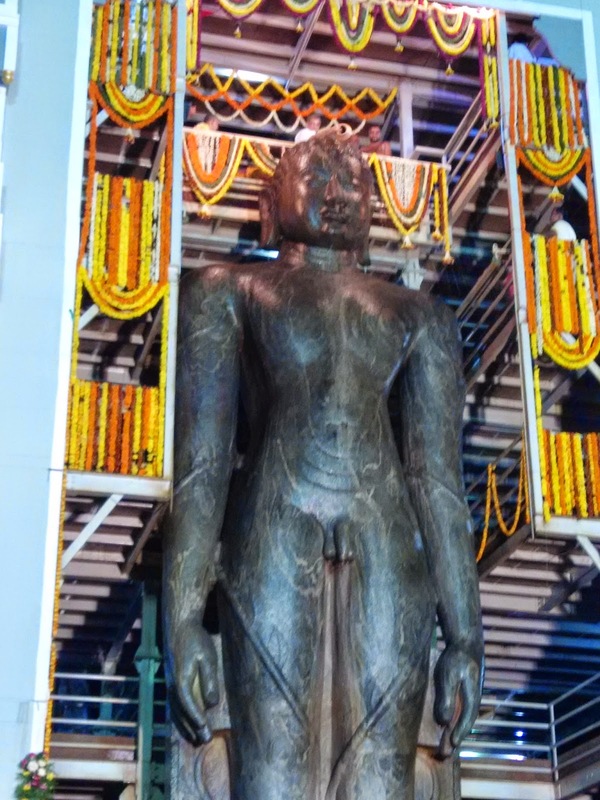 A steel five-storey scaffold had been constructed behind the statue to facilitate the ritual (Last masthakabhisheka was wooden). Each storey could hold up to 100 persons.Well-disciplined and kind volunteers. Procession and cultural program went on very well. Food served to lakhs devotees, parking facilities were organized in excellent manner.300+ stalls which sold local food items, handicrafts, textiles, karnataka govt tourism department etc. Kudos to all who made the historical event more historical.